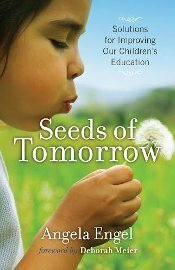 All ten authors in this book, in their combined hundreds of years of experience in the American public school system, are convinced it is not going to work much longer. Realistically, it is not possible to change education to “catch up” with Finland, or Hong Kong or whoever you wish to compare our children with–nor do we need to catch up with anyone. That paranoia is a deliberate red herring by education re-formers, uninformed and ignorant politicians, and greedy corporate enterprises who have no compunction in seeing our children as little ATM machines. There are much better solutions than those proposed – which increase the stress and burden on an already over-burdened system – and one reason this book, Fixing Public Education, came into being. It started three years ago and has become a reality. as education leaders in the State, we know you have been working to support teachers in their development and learning- and, here at the UCD School of Education & Human Development, we’ve been up to something new- creating a space to empower teachers, and redefine how teacher PD works in Colorado-we’d like to invite you to join us for our grand opening reception- the invite is below- RSVP to let us know if you can join us in this important conversation! If you can’t make it, go to the website and sign up for emails (and check out all our offerings), and, spread the word! Denver, CO 80202 Education Leaders ReceptionJoin us in our new continuing education space. We’re excited to announce the launch of EDU /ed-u/, a new initiative from the School of Education & Human Development at the University of Colorado Denver! As an education leader, you are invited to attend a reception at the new EDU space to preview all of the innovative and current professional learning workshops, webinars, online modules, book studies and personalized support EDU offers for educators. For more information, visit www.foreducators.org. Please RSVP by Wednesday, September 17. Tuesday, October 7th 6 – 8 pm First Christian Reformed Church 1814 S. Emerson St. Denver, CO 80210 Street parking only, but residential and free.
. His presentation will include: how high stakes testing does not work for our children, how to assess children in an accurate and culturally appropriate manner, and how current Common Core testing practices go against years of research. Dr. Thompson has spoken nationwide regarding high stakes testing and will share the research that demonstrates that these high stakes standardized tests have absolutely ZERO validity. He states: A one size fits all education system does not take into account the power of culture and varied cognitive learning styles. Corporate reform in terms of high stakes achievement testing has one purpose: $$$$. We look forward to seeing you October 7th!